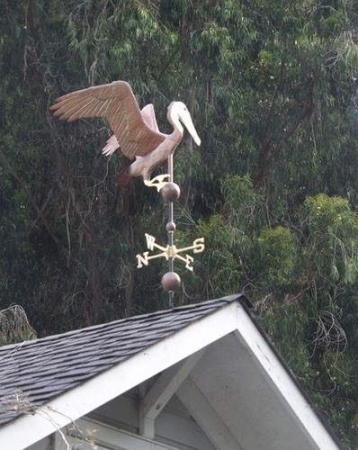 This Landing Pelican Weather Vane, Pelecanus, has a fish in its beak. Depending on your preference, it may be ordered with or without the fish. 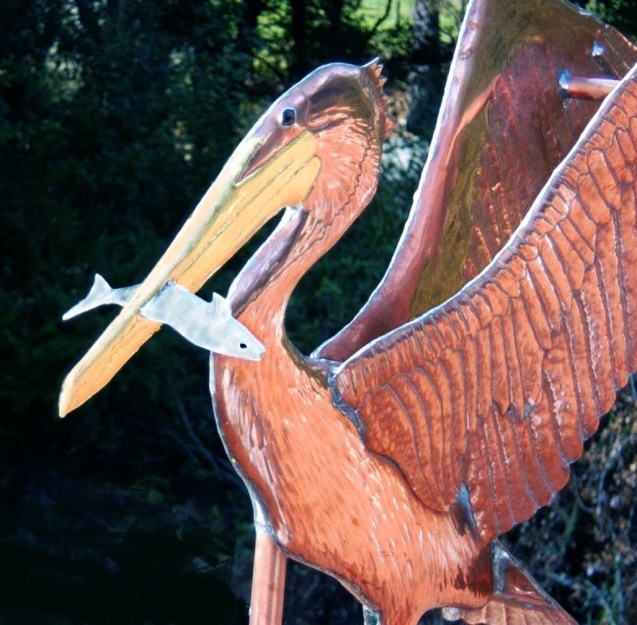 If added, the fish can be either nickel silver, copper, or optionally gold leafed. The glass eyes are selected at the time of your order, from our many options. 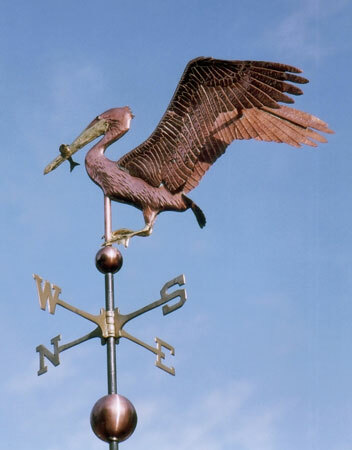 Pelican Weathervanes are very popular with customers who live on both the East and West coast, and over the years we’ve added several distinctive pelican weathervane designs. Because the wings on this design are more up than spread, a security device is not mandatory. 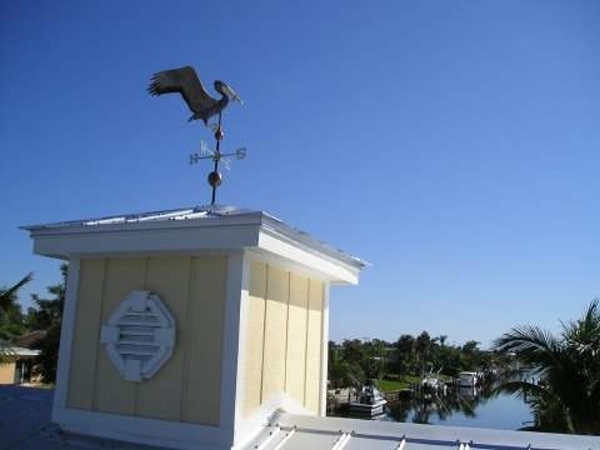 Some customers in high wind and hurricane prone regions prefer to include this added protection. 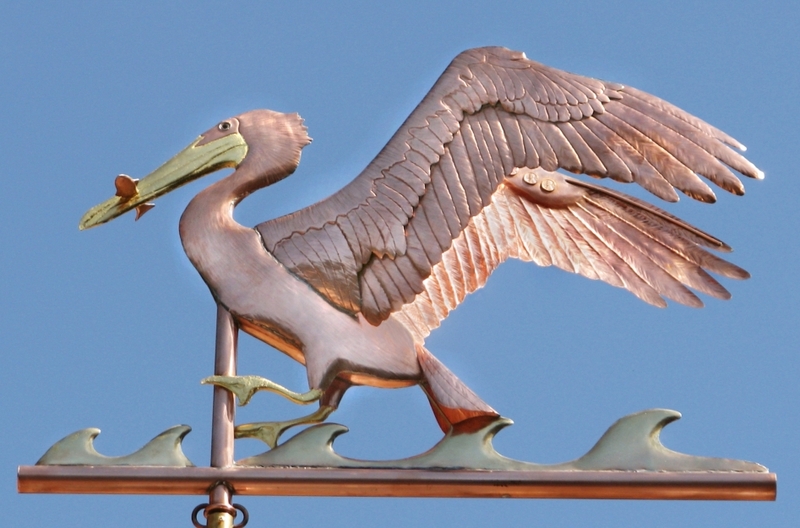 This vane features the pelican’s spectacular wings. The wings are each comprised of two separate layers of hammered repoussé copper creating a textured appearance and providing additional structural strength. 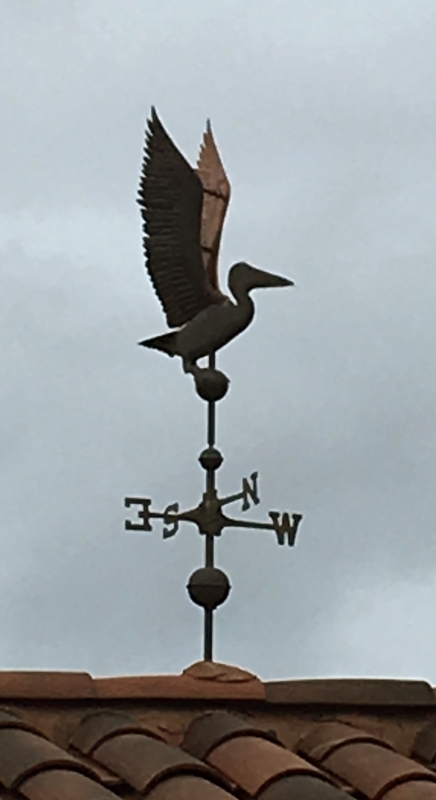 Between the bird’s two wings there is a ‘T’ Brace. Nearly invisible from most angles, the brace is there to reinforce and strengthen the wings on the sculpture piece. 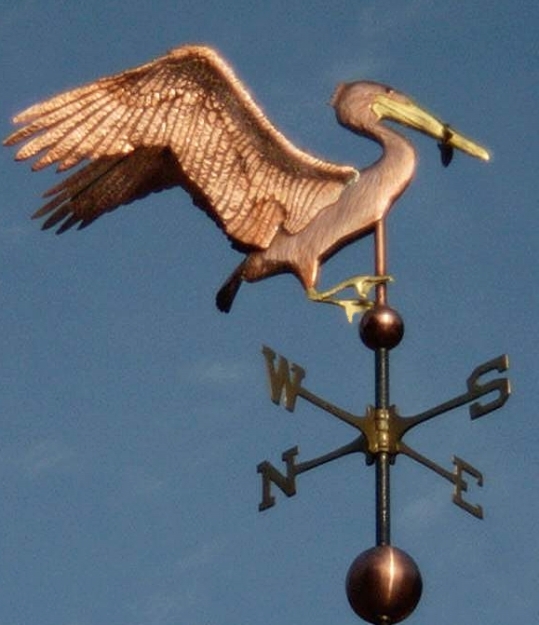 Most of our birds with big wings in the upbeat position will have similar bracing between the wings. 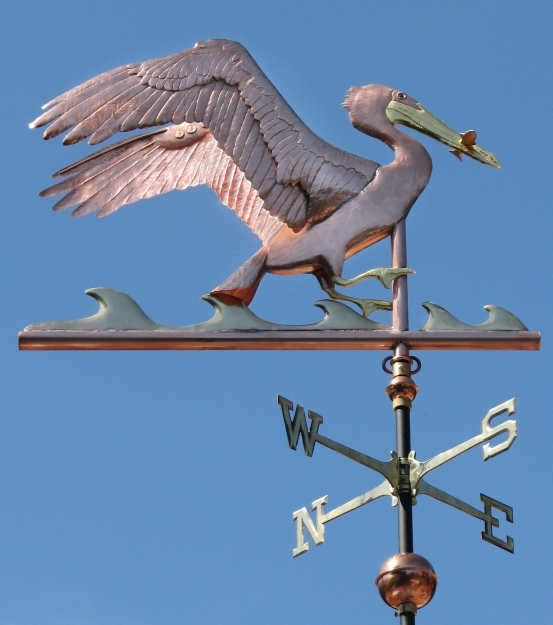 As can be seen in the photos above, we also craft a version of this pelican with optional waves in either copper or brass, with separate pricing.